Yesterday I shared the first part of this Shrove Tuesday post with the main dish – Chicken, Spinach & Mushroom in Green Onion, Parmesan Crepes. 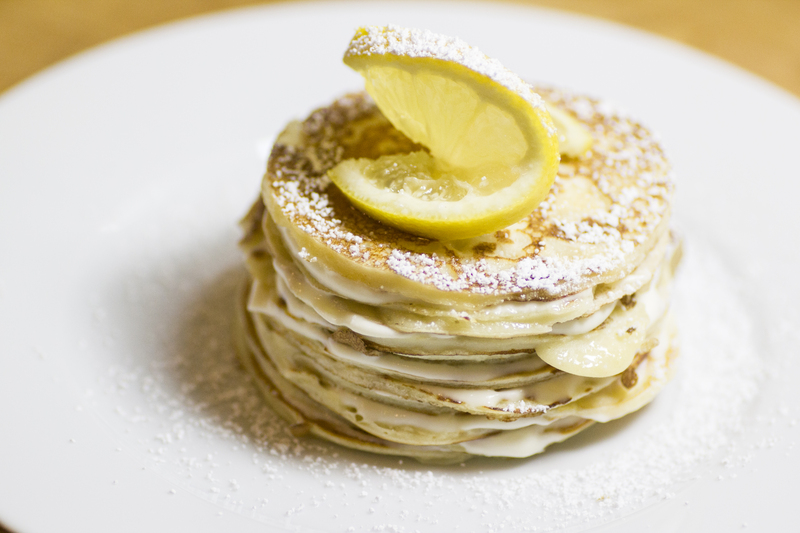 If you want to make a whole pancake-themed meal start there, otherwise, let’s skip right to dessert! I’ve been seeing these cakes made from layer upon layer of stacked crepes all over Pinterest and thinking how beautiful they look. I’ve been wanting to make one myself for a while now but, as they’re a dessert and I try to avoid dessert unless it’s a special occasion, I hadn’t been able to think of a good justification for making one. When I realized it was Pancake Day, it just seemed like fate! I’ve mentioned before that, to me, crepes with lemon juice and sugar are the gold standard of pancakes. So simple, so perfect, I haven’t yet found anything that quite compares, even though I’d normally pick a chocolate option above all others. So I really didn’t want to mess with that but I didn’t think juice and sugar alone would provide enough “glue”. In the end I decided a little mascarpone would probably do the trick, and it did! I posted the batter recipe yesterday, if you’re only making the dessert, half the recipe will make 1 dessert which would serve 1-2 people. This is a mini crepe cake so I used a round, 3″ metal cookie cutter in the pan to keep each pancake small and the right shape. If you want to get fancy you could try a different shape! 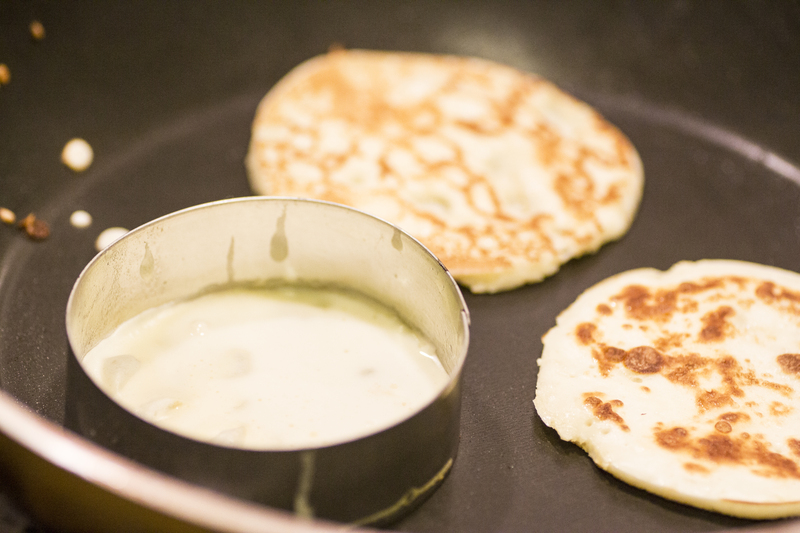 Cook the pancakes and then stick them in the fridge while you prepare the filling. I made 10 crepes for this cake. Squeeze the lemon juice into the mascarpone and stir thoroughly with the sugar. You can add more juice or more sugar if you prefer a more tart or sweet flavor. 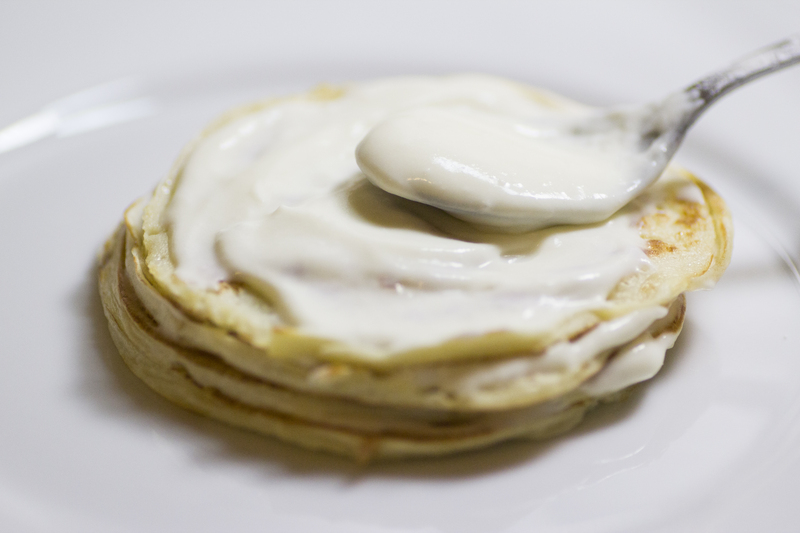 When the crepes are cold, lay one on a serving plate and spread with the mascarpone mixture, as thick as you would spread jam or mayonnaise on bread. 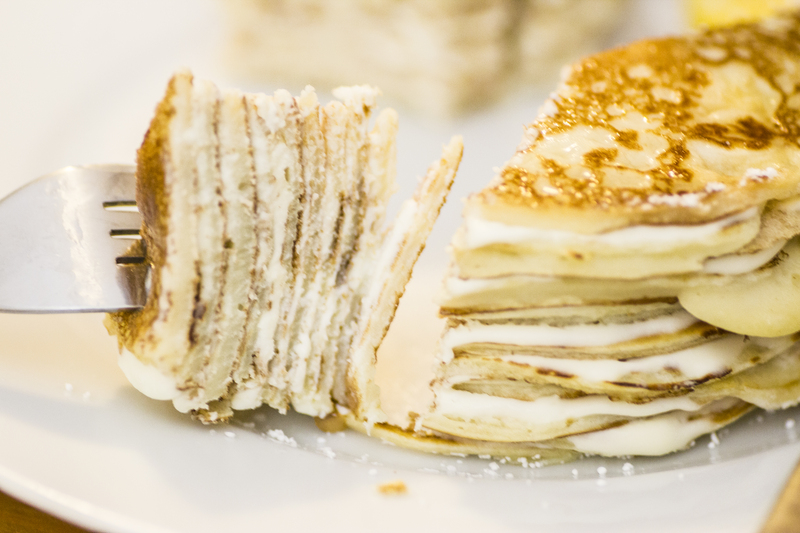 Keep adding layers until you run out of pancakes and then decorate with powdered sugar, slices of lemon, a sprig of mint, shaved chocolate, whatever you have on-hand. Put the finished cake in the fridge for a while before serving to help it firm up. This entry was posted in Food and tagged British Traditions, Crepe Cake, Crepes, Dessert, Lemon, Mascarpone, Pancakes, Recipe. Bookmark the permalink.